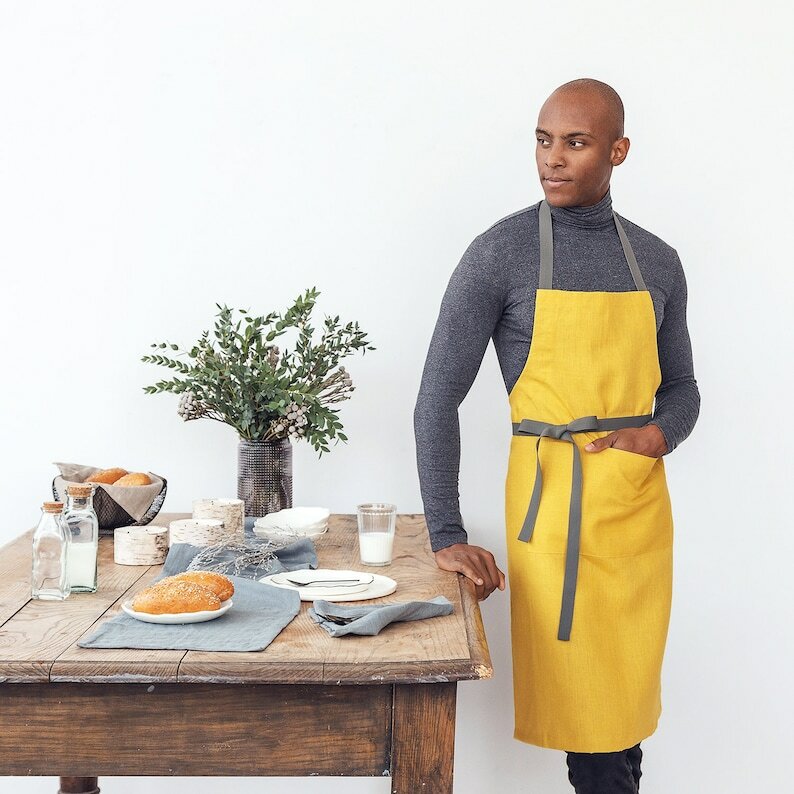 This full apron with two pockets and long adjustable straps is unisex and made of natural Baltic linen. 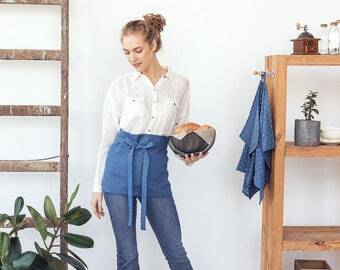 Linen pinafore aprons for men or women make great gifts on any special occasion. 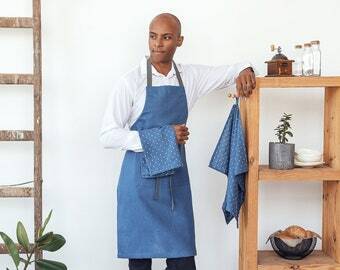 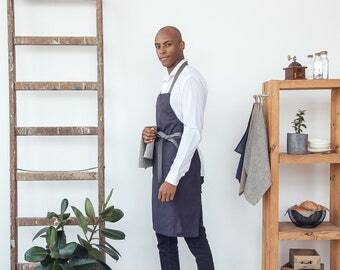 If you're going to a wedding or need birthday gifts for him or her, we have you covered with our linen aprons for men and women. 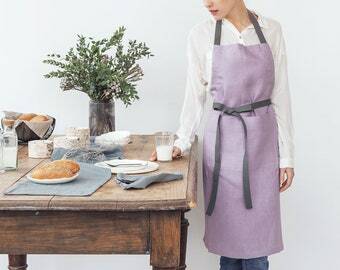 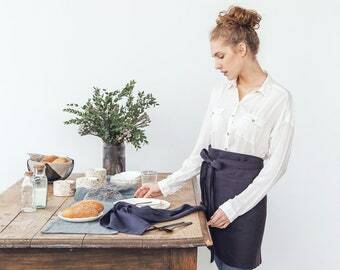 As we use only the best Baltic linen our aprons are very long lasting, eco-friendly, are easy to wash and dry quickly. 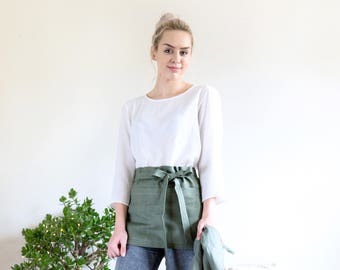 Natural linen products are made of flax which grows naturally and requires no additional water, other than rainwater, making it the most eco-friendly fabric available. 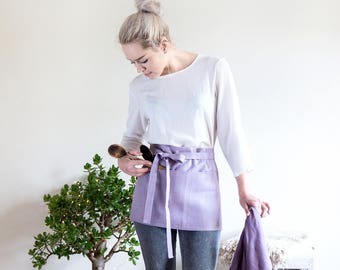 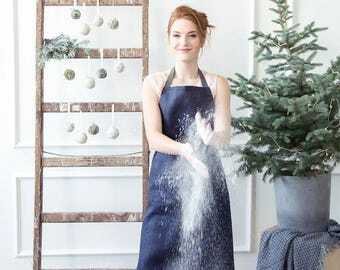 Whether you're a passionate chef or, in fact, a barista, looking great and covering up is made easy and beautiful with this fashionable apron.